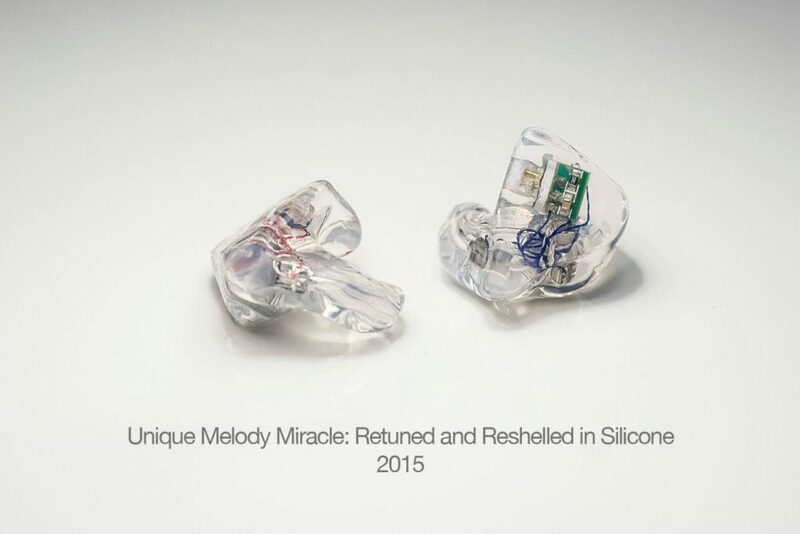 You’ve done tons of reshells and fixes for third-party IEMs over the years. Did these experiences/projects help inspire any of your own ideas? 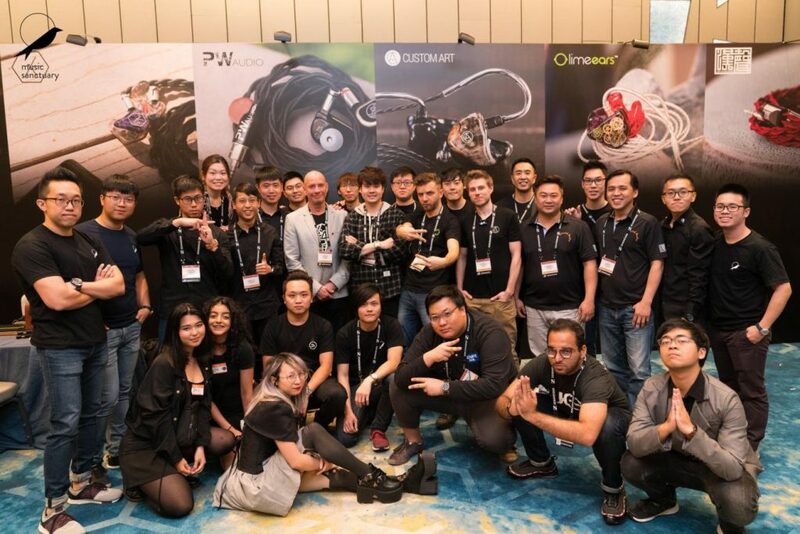 Can you name some of the most surprising things you’ve found in other companies’ IEMs? Without naming any manufacturers, of course. Hmm… there were a number of quirks I can think of. One that stands out is a particular model of IEM from a certain company: It came in so many different variations, it boggled our minds. Drivers were always the same, but the crossover designs were all over the place! We remoulded 5 or 6 of those and each sounded and measured completely different. 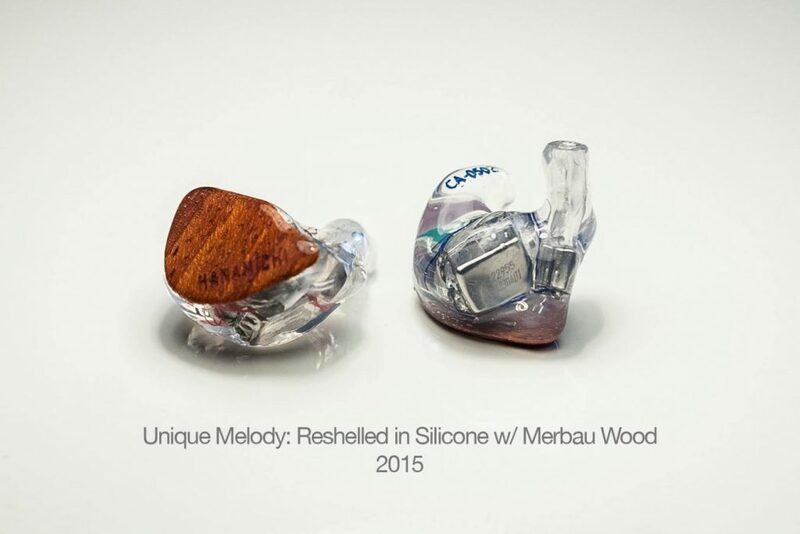 Have certain trends in how IEMs tend to break influence any of your manufacturing processes? To some extent, yes. 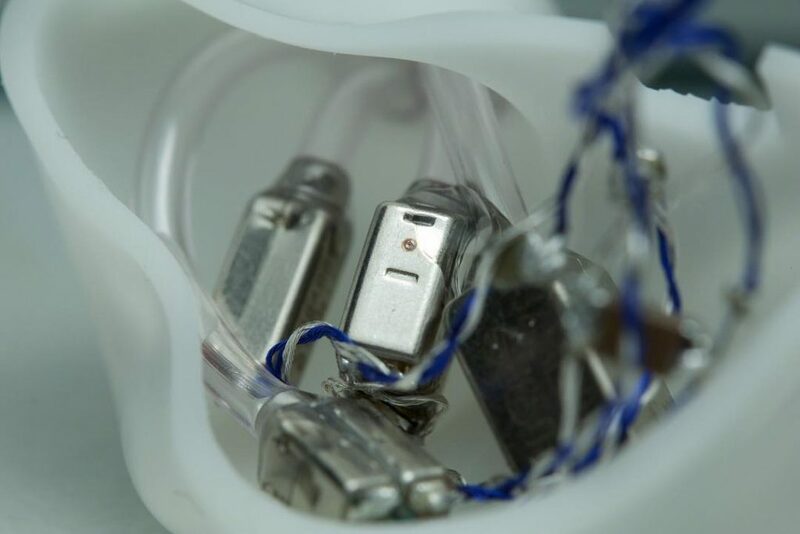 For example, we use higher-gauge Litz wires in our IEMs, because the thin wiring with standard thickness tend to break during heavy use; even in acrylic IEMs. Other than that, it did influence certain materials we use, like glues. How much of an emphasis do you place on aspects like wiring, solder, plugs, etc.? Very little. We use lead-free solder with silver, custom-designed SPC wiring, and gold-plated plugs. I consider these parts to be proper for in-ear-monitor use and… that’s pretty much it. Is the difference in performance worth the extra R&D? Depends on what we’re talking about. Cables – to a certain degree – yes, but everything else gives little to no change in my personal opinion. Do you think premium materials (whether it be cables, solder, caps, resistors, etc.) are underrated nowadays? Or rather, overrated? In my opinion, they are overrated. Let me put it this way – there are things that do matter, but when you pass a certain point, they stop making much of a difference. If you put a crappy cable made from material that’s barely conductive, then sure, it will degrade the sound. But, OFC cable with relatively low impedance and low crosstalk is perfectly fine. When our customers ask us for advice on cables, we typically recommend the lowest model from premium cable manufacturers – that’s where you get the most bang for your buck. Regarding passive components, we find that the middle-price range is where you get best electrical performance at a reasonable price. There are tons of new emerging technologies in the market nowadays like planar drivers and electrostatic drivers. What do you think’s the most exciting prospect in the industry at the moment? Miniaturisation. I’ve been saying for years now that we will see technologies from speakers and full-sized headphones get sized-down and implemented into IEMs. It’s started happening, but I maintain that these technologies are currently at very early stages. They have their own limitations and are not perfect. At the same time, I believe that balanced armatures still have a lot of development before them. Have you tried any of them? If so, do you think they’re viable as they are now? Yes, I tried some of the newest developments. It’s too soon to tell with 100% confidence whether we would implement them or not. It might take a long time before these new technologies arrive at something that utilises their full potential. As a designer, do you place further emphasis on perfecting what you know or exploring the unknown? ‘Kind of both. I like to explore the unknown, but I also like to sit with my notes, revise what I have and wonder whether or not I can still improve something. 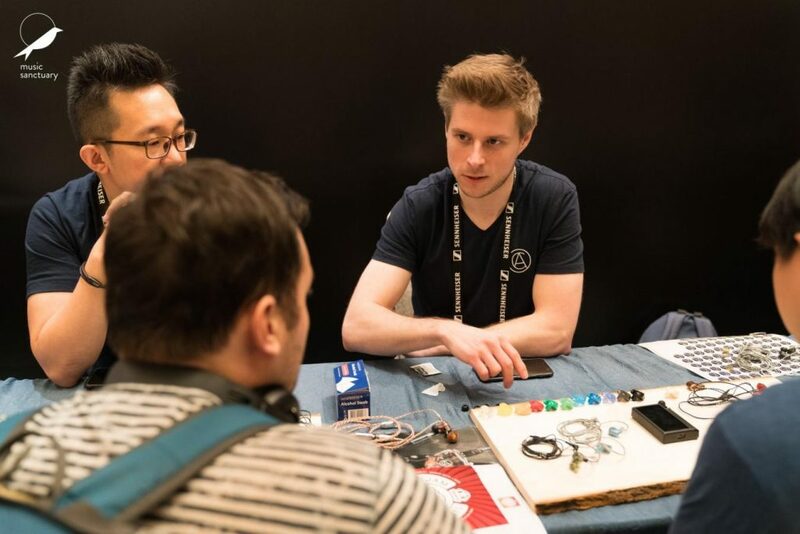 One thing I’ve noticed seeing you the past few CanJam’s is that you spend as much time if not more time trying everyone else’s IEMs than promoting your own. Nah, I typically don’t have enough time to listen to everything that I would like to try at the show. But, I try my best to try some new stuff. How important do you think it is getting to know the competition? It stems from my reviewer past. I simply like to listen to earphones and headphones. With time, I noticed that it’s important for me to keep up with the market. So when customers ask what Custom Art IEM they should shop for if they want a sound that’s like X IEM, or a sound that’s completely different from Y IEM, I can make quick and proper recommendations to them. Does it create pressure for you to be different or do you usually feel more confident knowing what everyone else is doing? ‘Kinda both! (laughs) But recently, it’s more and more the latter. We have our own style and appeal. We try to go against the current with many things we do and I feel comfortable doing that. What’s the most impressive listening experience you’ve most recently had? If you can say, what’s the most impressive IEM not of your own have you most recently heard? I won’t name any particular IEMs. The majority of IEMs currently on the market don’t impress me anymore, as they all tend to sound quite similar nowadays. In my personal experience, there are only a handful of IEMs that bring something interesting to the table. What’s your tuning philosophy like? Personal preference? Customer feedback? A mix of both? Definitely, both – I listen to our customers, I read comments, I gather feedback. Naturally, I have my own personal preferences too, but at the same time, our line-up tries to cater to quite a few different sound signatures. I’ve noticed you’ve been working with more and more musicians lately which I must congratulate you on. Have there been any comments or requests you’ve received from professionals that you’ve never seen in the audiophile market? Yes, musicians have different needs than audiophiles and sometimes I do get suggestions about what they would like to hear/see in our IEMs. Though I won’t go into more details, as to not give away anything that the future might bring. Is there a common “professional-preferred” signature, or is it just as subjective as the enthusiast space? It really depends. We’ve noticed trends among certain groups of musicians. For example, bassists typically look for a very specific type of bass response, vocalists focus more on midrange separation and forwardness, and sound engineers look for something closer resembling their studio speaker setup. In my workplace at church, we have a range of devices from amps, to consoles, etc. – all with different output impedances, noise floors, etc. Have you taken this into account design-wise? How has FIBAE tech fared with this use-case scenario? Yes! The previous (pre-FIBAE) line-up was prone to changes in sound signature, and they could affect the sound musicians were hearing. 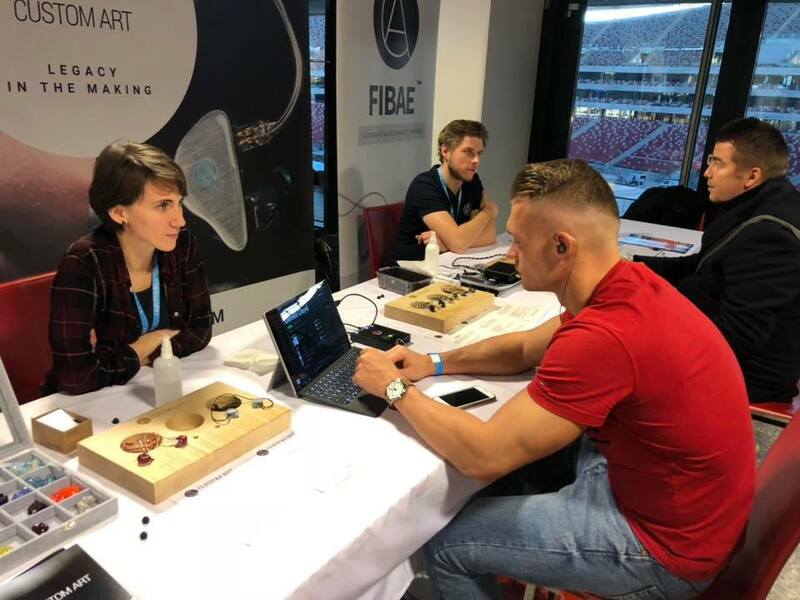 FIBAE technology minimises that problem, so we don’t have to focus on that part of the equation anymore when designing an IEM. We are confident that our product will sound right, no matter what sound source our customers are using. What kinds of music do you generally listen to? I mostly listen to heavy music – I like prog-metal, metalcore and similar genres. Though, my playlist also consists of light rock, jazz, mainstream pop and some acoustic. I’m extremely open-minded to music genres, because I’ve gone through phases where for a few years at a time I’d only listen to genres like rap, electronic/techno or reggae (to name a few). So, I feel like I’ve learned to appreciate any type of music. How have those preferences influenced how you tune your IEMs? Well, I think they’ve made me more self-aware. But, also considerate of other people’s needs. I take this into account when designing IEMs. This is why our line-up offers so many different sound signatures. Much like with music, I have my own sound preference, but I don’t want our products to revolve around only one theme. I’ve noticed you’ve been going to more and more concerts as well in support of your endorsed artists. 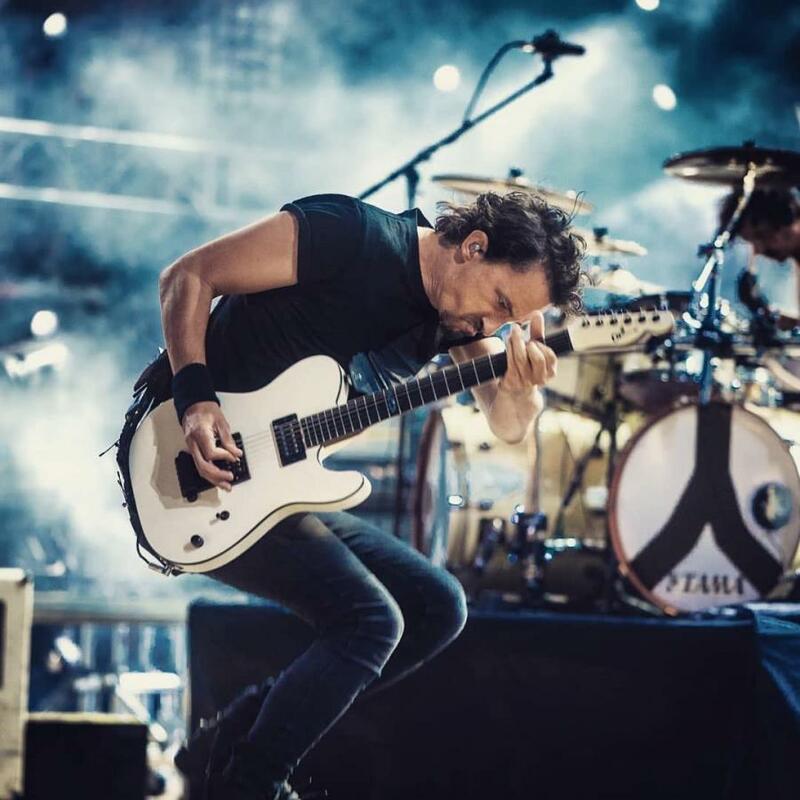 Have those experiences inspired anything in you to improve or translate to in-ears? Oh yeah, definitely! 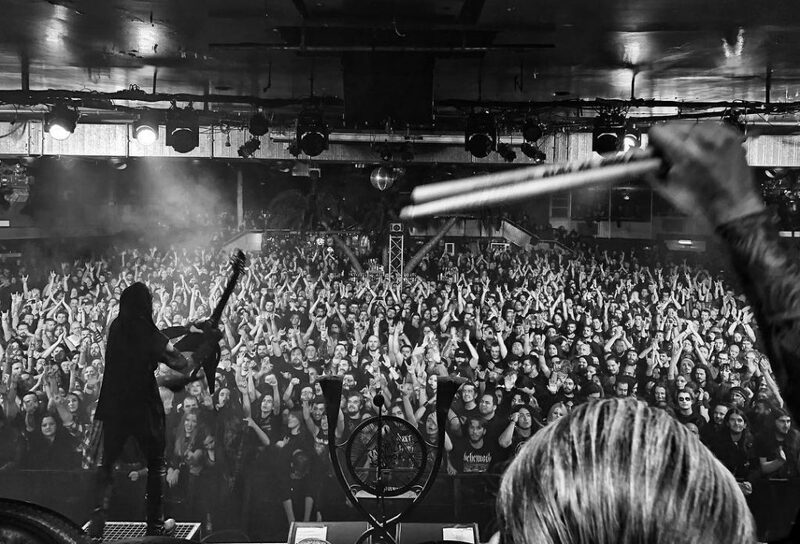 Concerts have a completely different feel from studio recordings and playing music through earphones. I normally have to force myself to focus on enjoying the music rather than picking up cues and analysing them for future designing purposes. I guess it’s just an occupational habit. 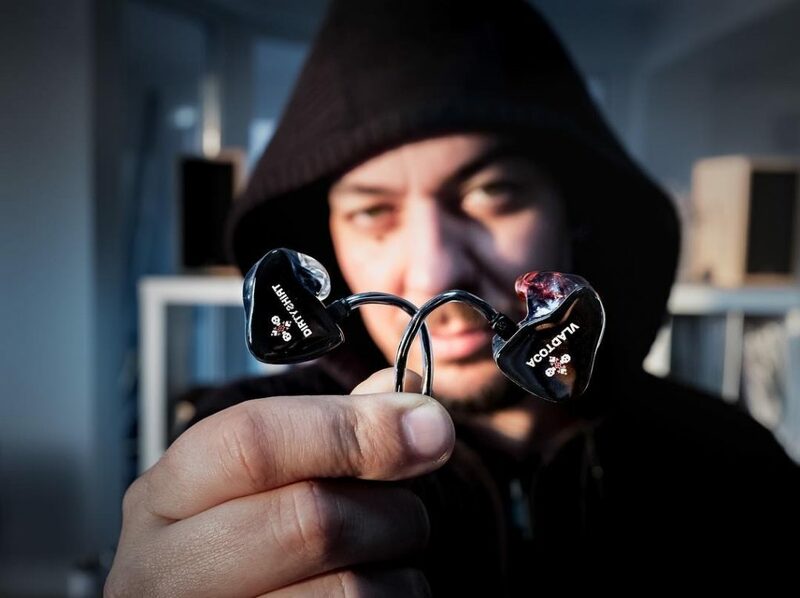 Still, I found that going to concerts made me better understand what my professional customers might look for; in terms of how IEMs should make them feel when they are using our gear. When you tune, what’s the aspect you tend to want to perfect first? Tonal balance? Detail retrieval? Stage expansion? That’s a really good question. I think first and foremost, I look for tonal balance – that I can typically read from the graphs. Once I move on to listening tests and the tone is as I intended, I check coherence first, then detail. Soundstage is probably last.